Who? The Chinese artist and activist Ai Weiwei's latest work occupies Alcatraz Island, the former home of a military fortification and military and federal prison. Through seven new sculpture, sound, and mixed-media works, the acclaimed artist explores human rights and freedom of expression. What? 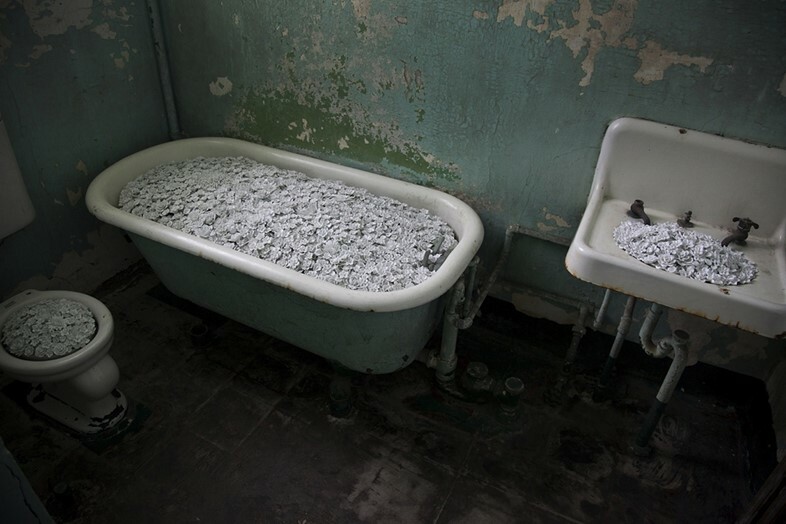 The most striking of the works is Blossom, an installation in Alcatraz's old medical wing. 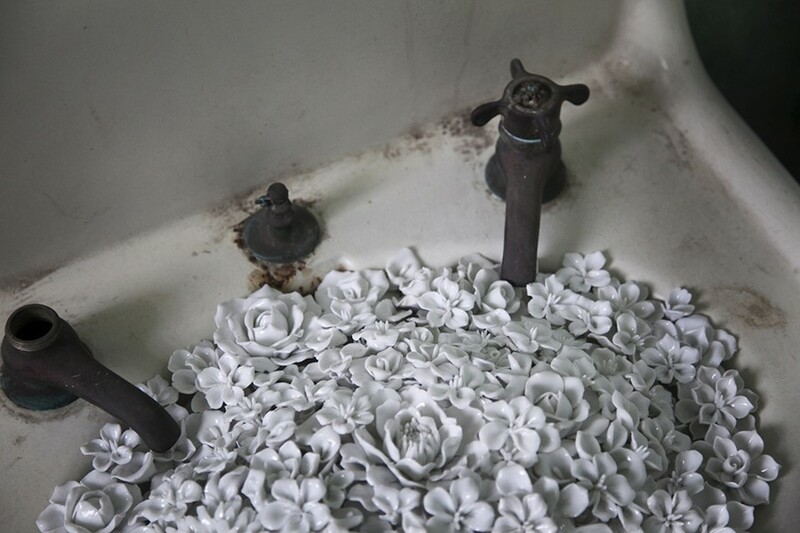 It sees Weiwei fills the toilet bowls, sinks and bath tubs in the former prisoner bathrooms with ceramic flowers. It's remarkable. On an aesthetic level, the flowers are beautiful: white, delicate and growing in abundance through the dirty crevices. They are in striking contrast to the cold, haunting rooms, that boast so sad and sinister a history. The works are even more powerful with the knowledge that Weiwei himself was detained in 2011, for 81 days. Last year at Venice Biennale he recreated his detention space in scaled-down versions. Weiwei is still forbidden to leave China so it is fascinating to think he created the work without seeing the locations himself. He developed the works in his Beijing studio with support from the presenting partners, Bay Area volunteers, and Amnesty International, which provided research material. Why? With this project, he aims to expand our understanding of “the purpose of art, which is the fight for freedom.” He goes on, “The misconception of totalitarianism is that freedom can be imprisoned. This is not the case. When you constrain freedom, freedom will take flight and land on a windowsill." Some have suggested the work may be an ironic nod to China's famous Hundred Flowers Campaign of 1956, a brief period of government tolerance of free expression, which was immediately followed by a severe crackdown against dissent. Chairman of the Communist Party Mao Zedong Mao named this liberalisation movement the Hundred Flowers Campaign, after a traditional poem: "Let a hundred flowers bloom / Let a hundred schools of thought contend." 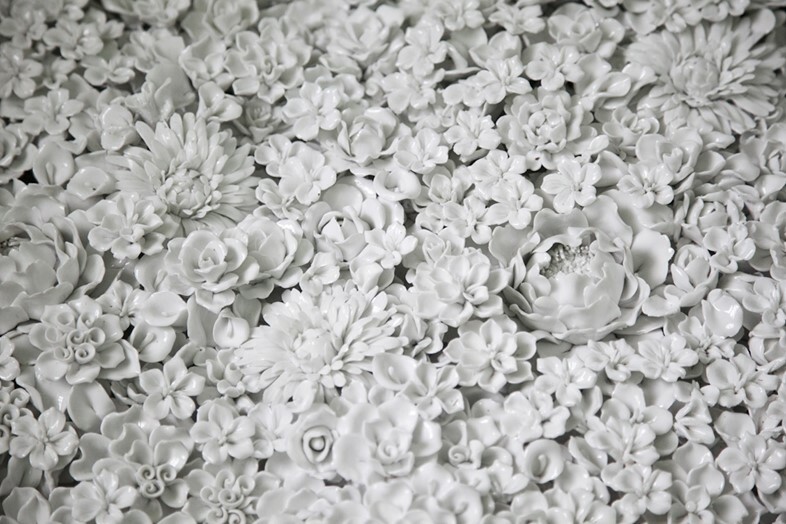 It seems fitting to consider Weiwei's flowers, when today we watch our own ceramic flowers being removed from the moat at the Tower of London. For three months, 888,246 ceramic poppies have created a breathtaking installation, each flower representing a British military fatality during war in the last hundred years. Ai Weiwei: @Large is at Alcatraz, San Francisco until April 26, 2015.